In the A-side quarter-final on Friday evening, Crocker and Muyres battled against Turkey’s Dilsat Yildiz and Ugurcan Karagoz in a tight game in which neither team seemed able to score more than a deuce. 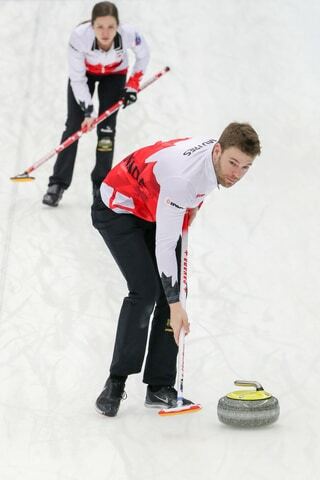 The game was decided on Crocker’s final draw against three for the 7-4 win. 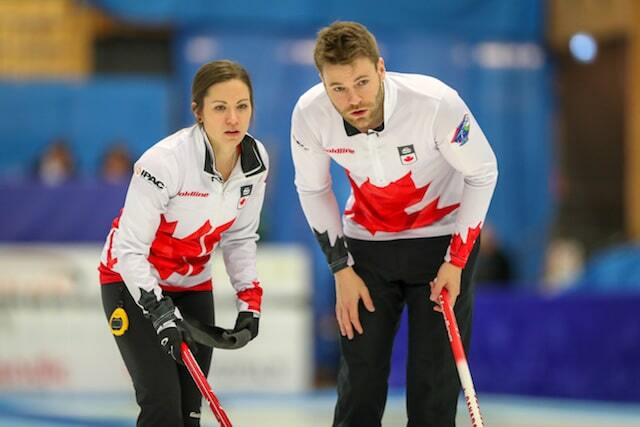 Earlier in the day, Canada defeated Czech Republic’s Zuzana Hajkova and Tomas Paul in a round-of-16 qualification game. 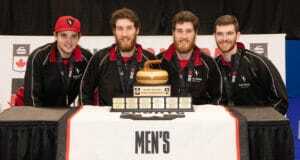 The Canadians scored three with Crocker’s double run-back in the first end and kept the pressure on for an 8-6 victory. The A-side semifinals get underway on Saturday at 6 a.m. 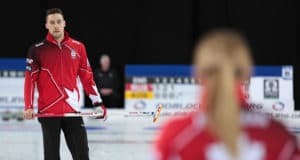 ET with Canada facing Switzerland’s Michele Jaeggi and Sven Michel, who won the gold medal at the 2011 World Mixed Doubles with partner Alina Pätz. The medal games follow at 10 a.m. ET. 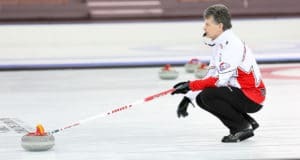 Watch selected games on the World Curling Federation YouTube channel, http://www.youtube.com/WorldCurlingTV, and on TSN (check local listings).